When the Jiji Earthquake struck in September 1999, it changed the fate of both Nantou and its people, and Nantou-based Tian Xing Kiln was no exception. When Lin Ching-he (林清河), the third-generation operator of Tian Xing Kiln, dusted himself off from the rubble and debris left in the wake of the quake, he set to rebuilding his father's fallen dragon kiln back on its original spot, brick by brick and tile by tile. He was determined to ensure that Tian Xing Kiln's history would continue. It was his mission. 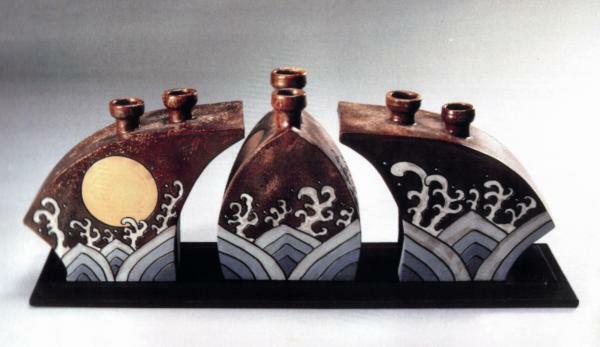 The same year the 7.3-magnitude earthquake hit, Lin had just invested heavily in the construction of a new kiln area. 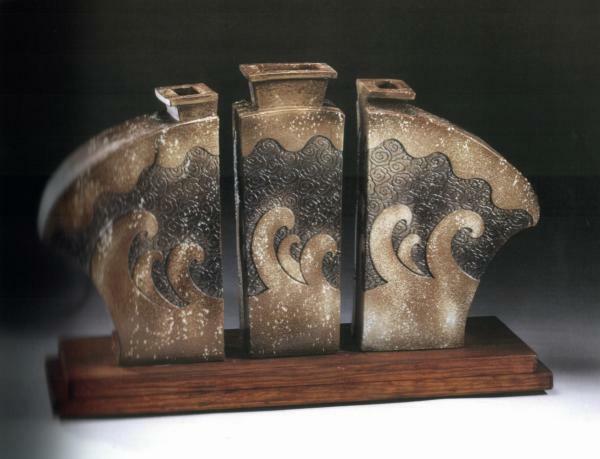 He was fully prepared to forge ahead into the modern ceramics market when the earthquake struck and all but leveled Tian Xing Kiln. Fortunately, it failed to level Lin's ambitions, although it had left him saddled with NT$40 million in debt. To pay off his debt, Lin began branching out by cooperating with others outside the industry and developing new market opportunities. 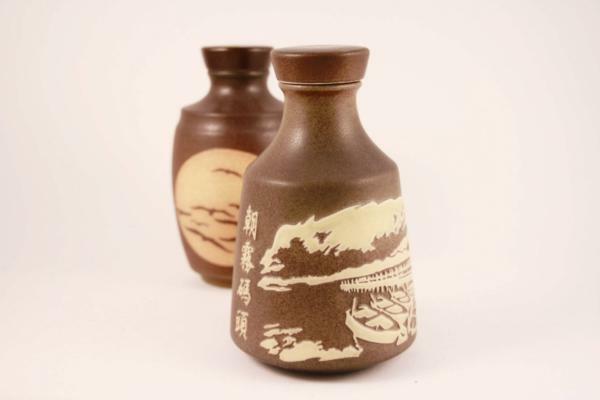 The first of these was with Nantou Winery, for which he designed several bottles with distinctively Nantou characteristics. 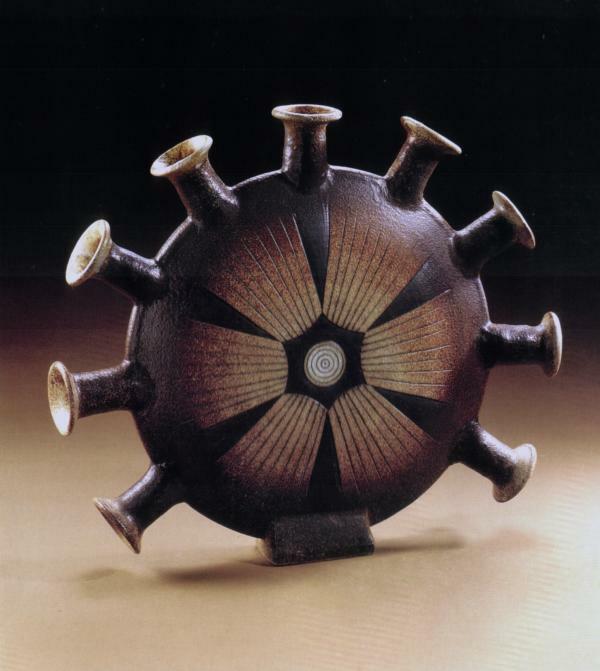 The kiln has also worked with the Industrial Technology Research Institute on the "Bamboo Charcoal Energy" ceramic line, injecting new elements and materials into traditional pottery. Today, Lin continues to experiment with new possibilities, just as he did when he first set to transforming Tian Xing Kiln, looking for opportunities to keep the old kiln as vibrant as ever. 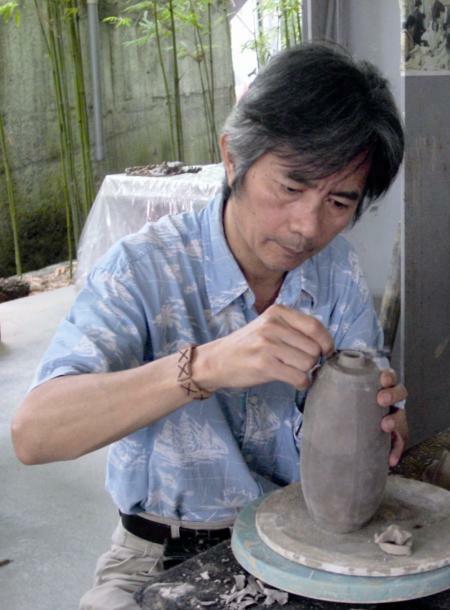 To accelerate the successful transformation of the kiln, Lin even began throwing ceramics himself, something to which he had previously been a total outsider. This is the kind of person Lin is. No matter what storms may rage around him, he is steadfast in his determination: "I do what I want to do, not what the market wants me to do, and I want to create a market that resonates with me! Tian Xing is more than just a kiln; it's a vector for culture, passing along a ceramics culture that is centuries, millennia old." This fearlessness, determination, and confidence is something that Lin has passed on to his two sons, Lin Hsin-hao (林欣皓) and Lin Hsin-hsieh (林欣頡), who have come home to work in the kiln for the past few years. The elder Lin smiles proudly as he comments that his biggest achievement in the last couple of years has been getting them to come back and gradually start taking on part of the responsibility of running Tian Xing Kiln. Now, father and sons work together by the beautiful Jiji Green Tunnel to keep alive a piece of traditional culture and sustainable industry as Tian Xing Kiln heads toward its first full century. Visitors Today:58. All Time Visitors:1,229,865.